Make it nice, make it dainty, make it lively, but never boring. We design websites that are aesthetically pleasing according to your brand personality, without compromising the user experience. As a Malaysian web design agency, we believe local brands need a truly Malaysian team so that everything on their site speaks and resonates with Malaysians on a deeper level, especially when it comes to local content. We use our professional and personal experience to help you create a website that ticks all the boxes and then some. If you’re looking to start your own online shop, we’re able to help too! Our platform development team creates seamlessly integrated experiences that can be tailored to up-and-coming startups and even big-time businesses. Whether you’re looking to start a new website or refresh an existing platform, we’re one Malaysian digital agency that will be glad to help. Our key differentiation amongst web development companies is the fact that we balance creativity and optimisation, providing you with secure footing and explosive online presence at the same time. 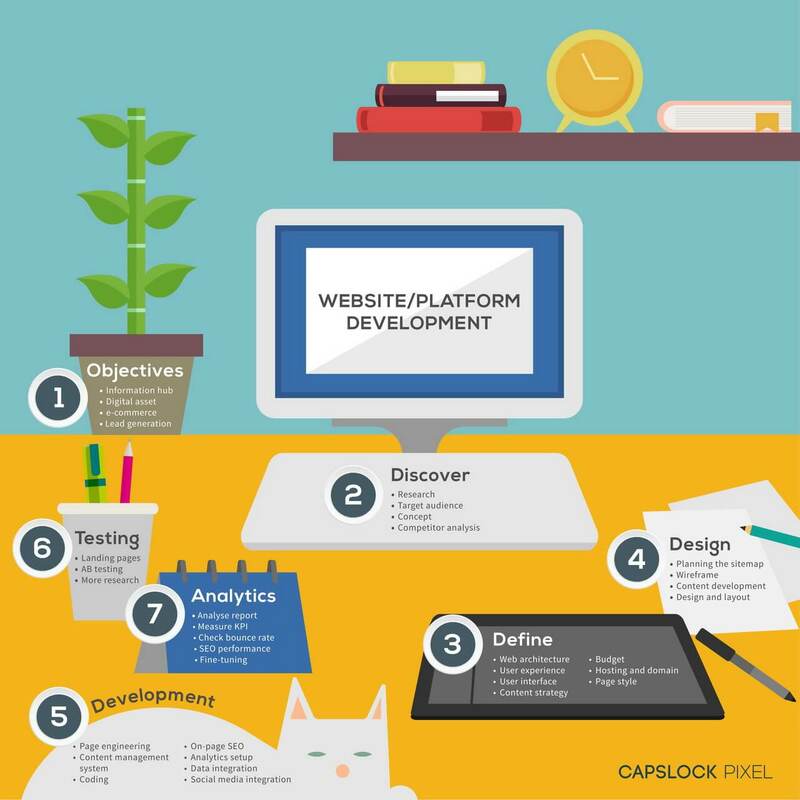 Get online with Capslock Pixel, your friendly Malaysian web developer.